Dr. Alejandro Lev is a doctor who is known in Costa Rica as a "Doctors' Doctor” and is a Costa Rican plastic surgeon with a pristine reputation. Dr. Lev also has double certification in two countries as a plastic surgeon (Costa Rica and Brazil). Dr. Lev is a member of both the Costa Rican Society of Plastic Surgeons (CSPS) and also the International Confederation for Plastic, Reconstructive and Esthetic Surgery (IPRAS). Yes, he's a Brazilian trained plastic surgeon in Costa Rica and besides his impressive background, he is also a gentleman and a loving, nurturing human being who makes each patient feel like he or she is his ONLY patient. In 1991, Dr. Lev was Certified by the Brazilian Society of Plastic Surgeons and the Medical College of Doctors and Surgeons of Costa Rica. He is a former Vice President of the Costa Rican Plastic and Reconstructive Surgery Association and affiliated with the International Confederation for Plastic, Reconstructive and Aesthetic Surgery (IPRAS) and the Ibero-Latin American Federation of Plastic Surgeons. 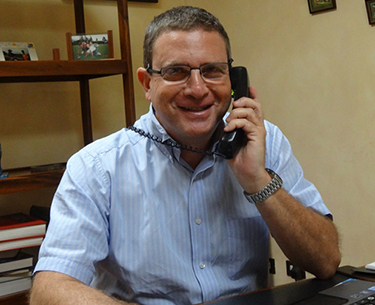 Dr. Lev has been a private practitioner in San Jose, Costa Rica since 1991. Since then, he has built an impressive clientele*, many from the United States. * Patient reference list available upon request. Dr. Lev says that for every surgery, he always works with one of the top anesthesiologist’s in Costa Rica.